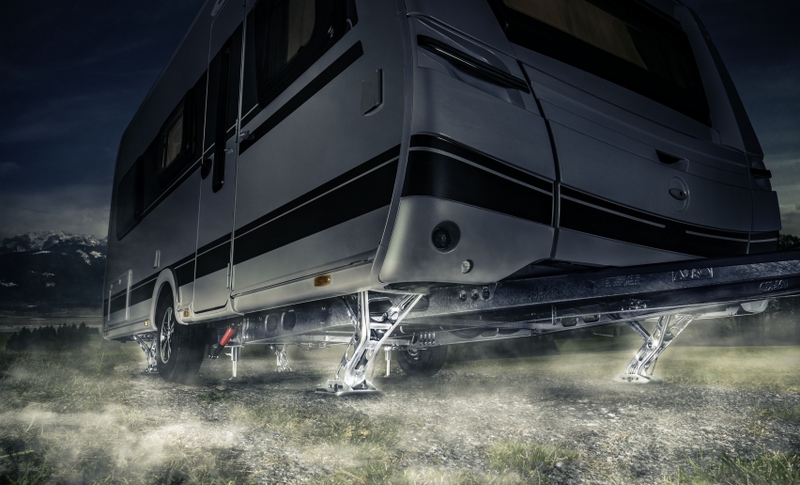 E&P Hydraulics is a professional manufacturer of levelling system solutions for mobile homes and caravans. The systems ensure absolute stability. 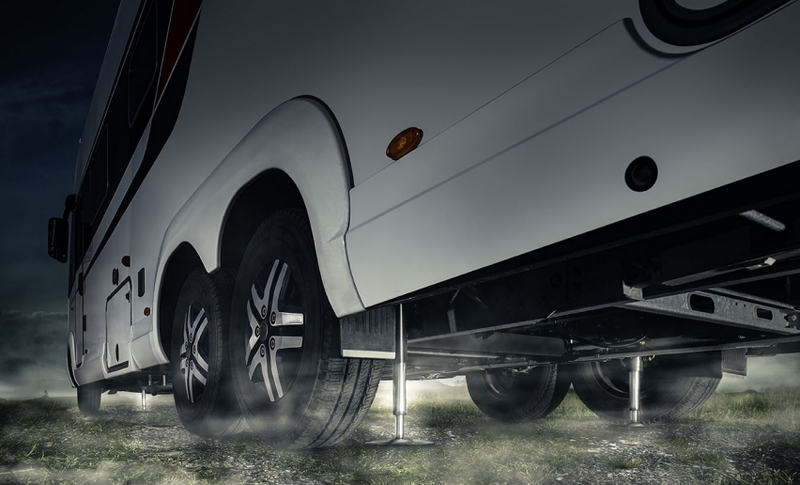 Within 2 minutes you can have your mobile home or caravan positioned horizontally and your vehicle is level – at the push of a button and fully automatically. Over the last 10 years, E&P Hydraulics has developed into one of the market leaders in the field of levelling systems. Through our in-house development and production, we have extensive know-how about the product, the market, our dealers and our customers. Most camp site pitches are not really level. So if you don’t want to sleep on a slope, you need wedges or a jack to position your vehicle more or less level. Depending on the lie of the land, that can take some time, and with some pitches is not even possible using simple means. When you’re on holiday, you don’t really want to spend too much time levelling your vehicle. That is now possible quickly and easily using a hydraulic supporting system from E&P Hydraulics – at the push of a button. Extensive information can be found in our brochures. For further questions you can also contact us at any time.